Mermaid sushi chef Sithu Tun has been working to make his sushi offerings more Sustainable Seafood than any other sushi restaurant by following the Monterey Bay Aquarium’s Seafood Watch Guide. 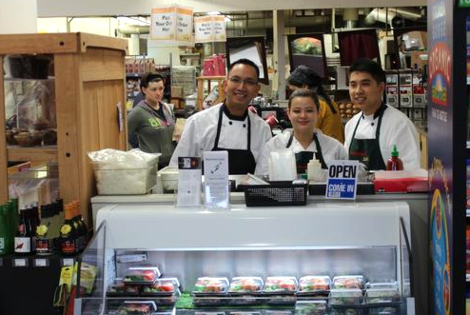 Sithu has taken steps to ensure that his sushi is still affordable, by keeping the prices the same as any other grocery store that’s making sustainable seafood an easy choice for everyone. Sustainable seafood is seafood from either fished or farmed sources that can maintain or increase production in the future without jeopardizing the ecosystems from which it was acquired. Why choosing only sustainable seafood? The more people become aware of both overfishing and environmentally-destructive fishing methods can change big impact for not only healthy, abundant Oceans, but also for our healthy living life by enjoying clean and healthy seafood. 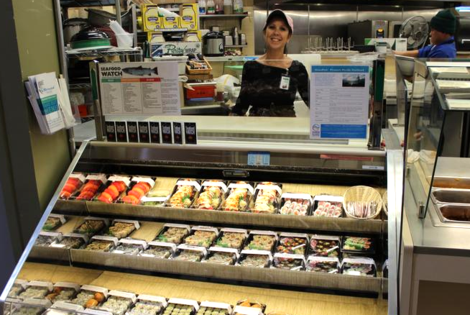 Mermaid Sushi at the North Coast Co-op in Arcata was open on May 29 2012. At Mermaid Sushi locations ( Davis, Eureka, Arcata, Bakersfield) we do not use high fructose corn syrup in the sushi seasoning vinegar, aspartame or saccharin in any of our products, like many restaurants and to-go sushi bars do. We emphasize fresh, all natural ingredients. All our seasonal, fresh, sustainable seafood and fresh vegetables are prepared and used in the same day. We are not just focusing on the health of our customers, but also the health of our environment by using sustainable seafood following the Monterey Bay Aquarium’s Seafood Watch Guide.